As I’m currently in the market for a new secondary laptop, I made a somewhat saddening discovery this week. 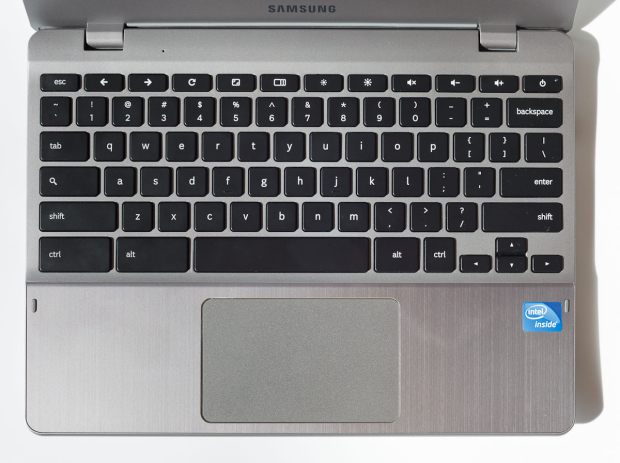 Google’s Chromebook’s have eliminated the Caps Lock key and have replaced it with a general search key. Slate.com provided me with interesting information about the history of Caps Lock. In the old days, Caps Lock seemed to be quite useful! However, they go on to explain how in the 21st century, the key serves almost no purpose. It apparently wastes valuable keyboard real-estate and is prone to being hit accidentally when fingers search for the letter A. In addition, people knowingly and unknowingly use the key to type OBNOXIOUS COMMENTS all over the web. They ask how it has managed to stick around for long. The answer to that is technological inertia. People are more likely to buy things if they don’t have to change their old habits. In this case, a keyboard with caps lock was seemingly preferred to one without it. I see on Gizmodo.com that according to Google, the decision to remove Caps Lock was believed to be a step towards improving the quality of comments online because people would not be able to write in all capital letters. (Note: I saw on ABCnews.com that there is a way to alter the settings so that the search key functions as a regular caps lock). NOW I HAVE A SLIGHT PROBLEM WITH THE DIRECTION WE ARE HEADED IN. Apparently I’m some alien species born on the wrong planet because I ONLY use Caps Lock and NEVER use SHIFT. When trying to capitalize a single letter, I use the caps lock key! I press the button to turn caps lock on, click the key I need capitalized, and then press the caps lock off. It may sound like a long process but I do it so quickly you almost can’t see my fingers because of how quickly they’re moving. However, just because I do it fast doesn’t mean I do it the most efficient way. When I did some research today, something that should seem obvious actually came to me as quite a shock. By using caps lock, it takes me TWICE as long to capitalize one letter because instead of pressing the shift key once, I have to press caps lock twice. Why the heck did I develop this bad habit? How did no one ever notice? Is it because I type that quickly? MY OWN MOM THINKS I AM A FREAK haha. DOES ANYONE ELSE USE CAPS LOCK TO CAPITALIZE INDIVIDUAL LETTERS? PLEASE, TELL ME I’M NOT THE ONLY ONE! I LOVE CAPS LOCK! I didn’t know this was an issue. UGHHHHHH!!! I use Caps Lock to capitalize every individual letter, and it doesn’t slow me down, so I’m happy! Same here! In fact, I just did it three times!